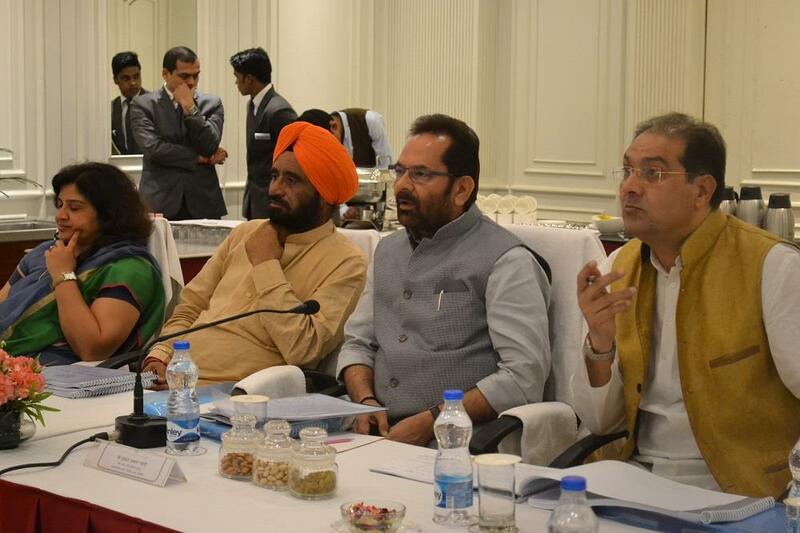 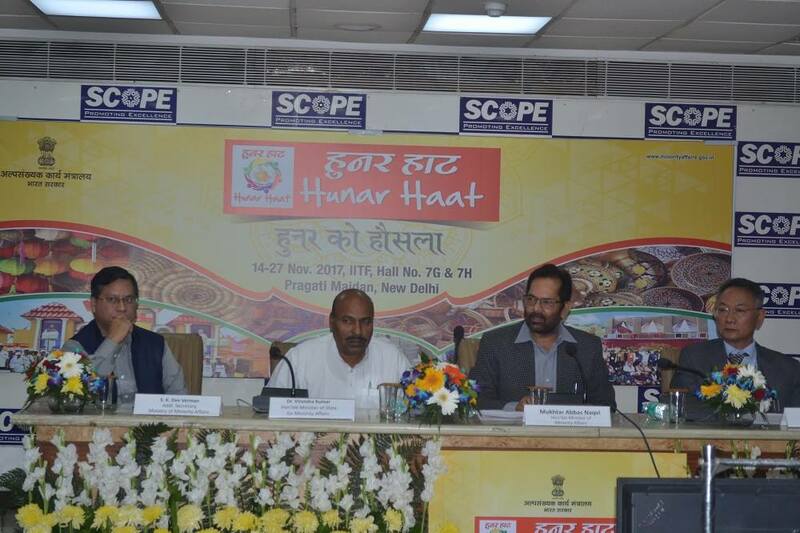 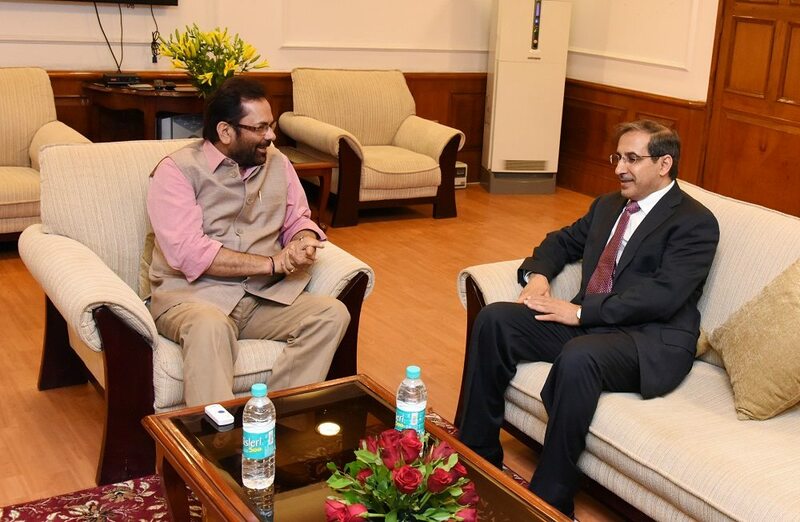 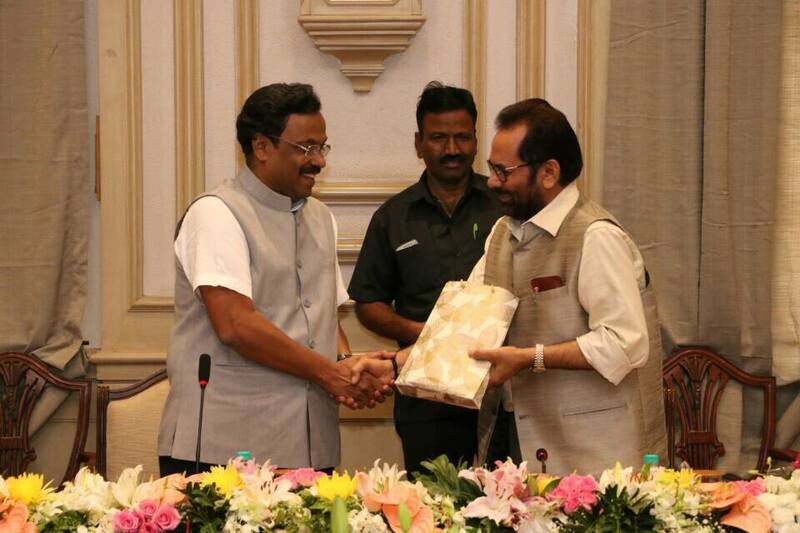 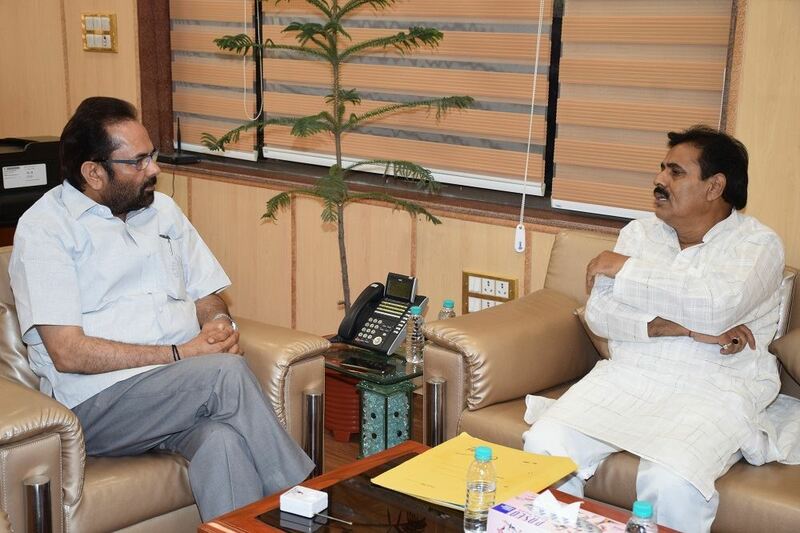 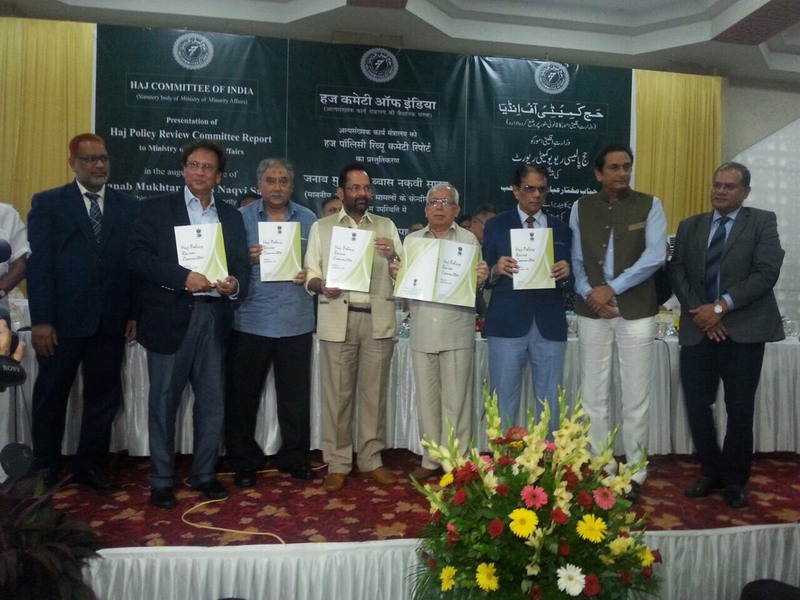 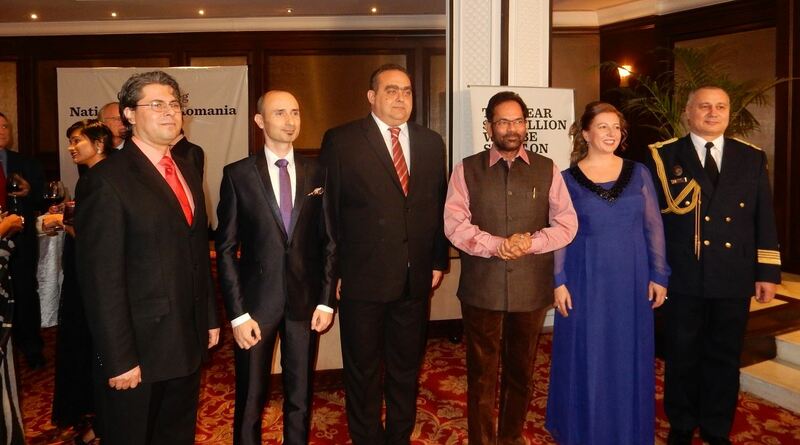 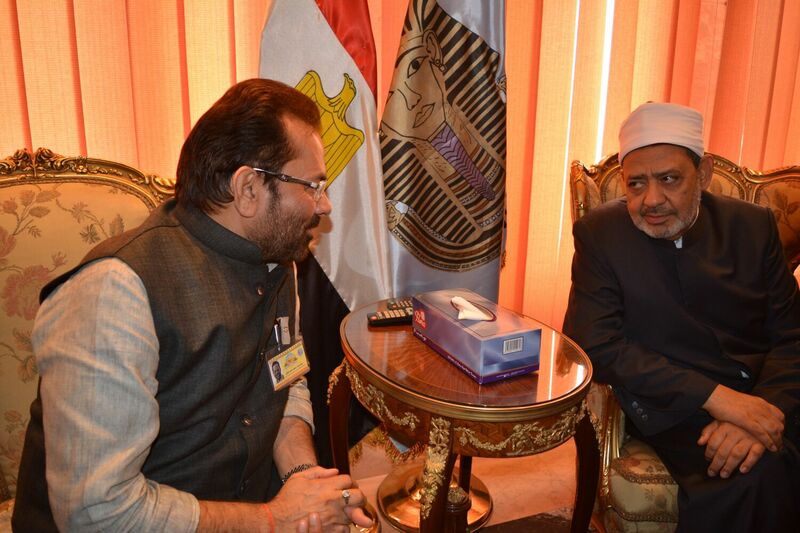 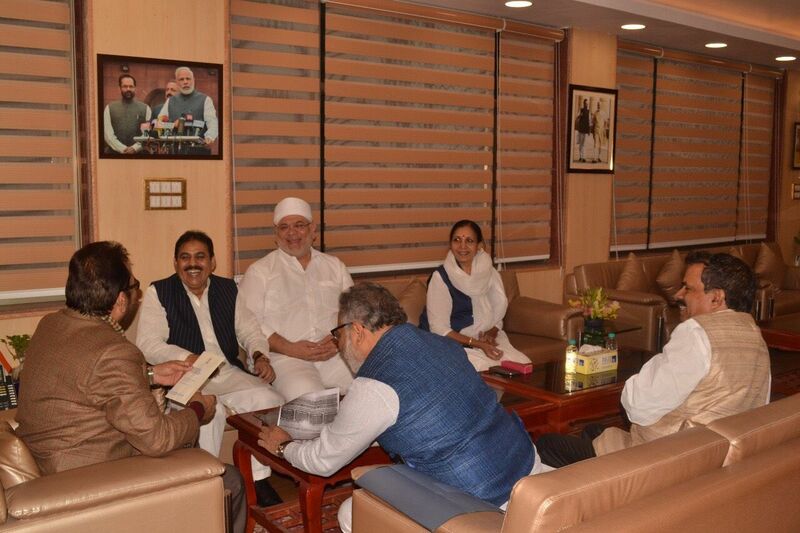 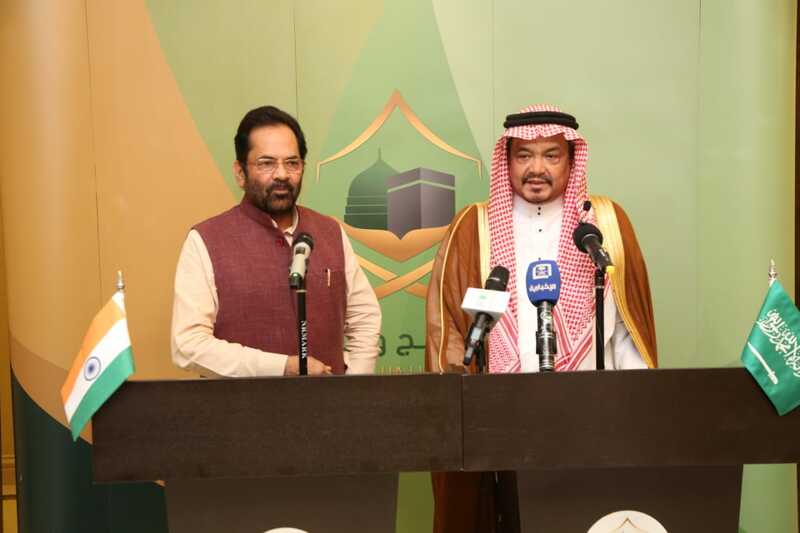 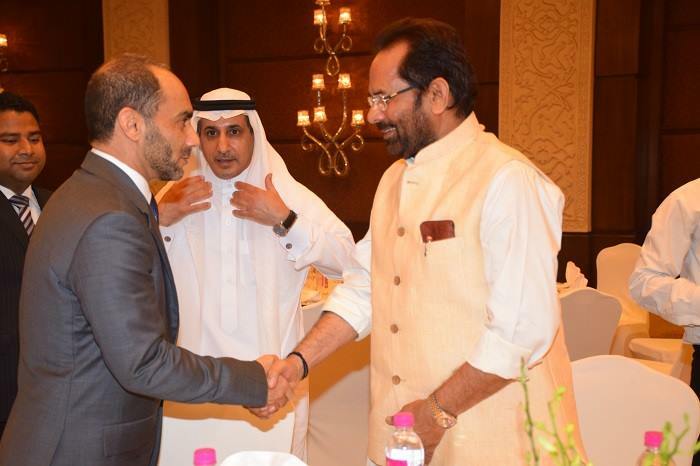 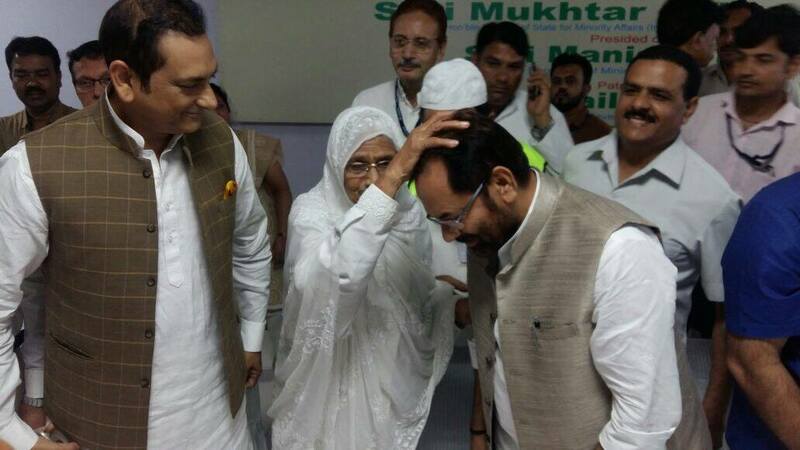 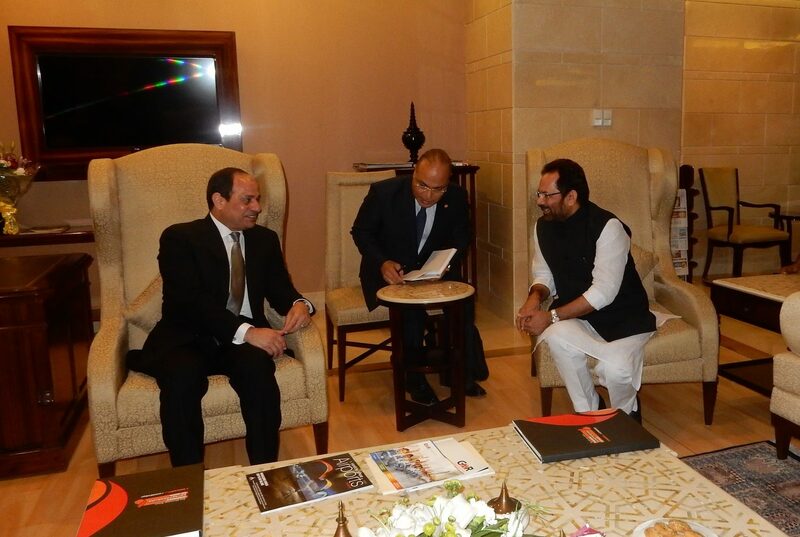 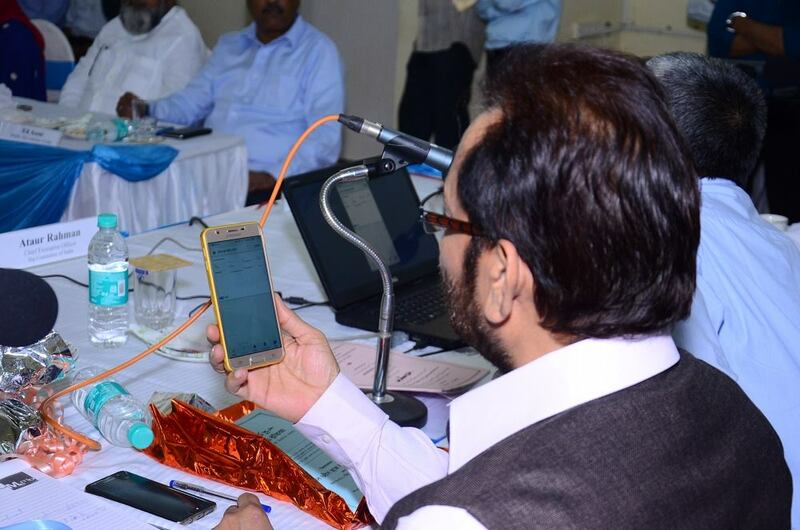 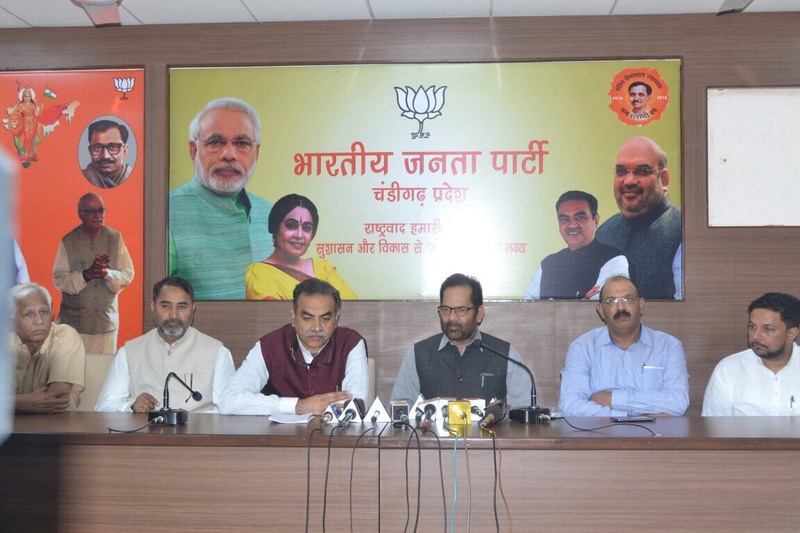 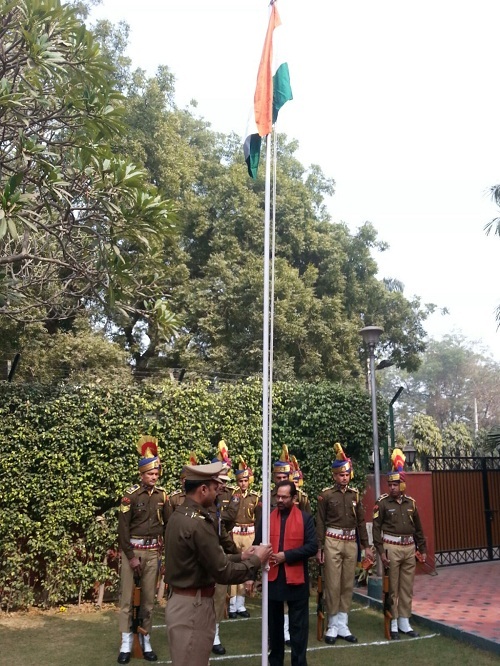 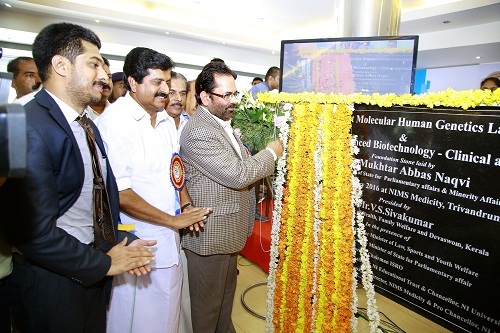 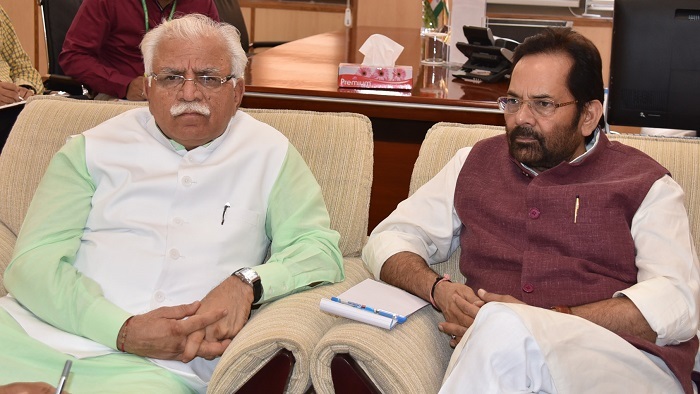 Union Minister of State for Minority Affairs (Independent Charge) & Parliamentary Affairs Shri Mukhtar Abbas Naqvi today said here that “commitment to inclusive growth and good governance” is the “guarantee of progress of poor and prosperity of the country”. 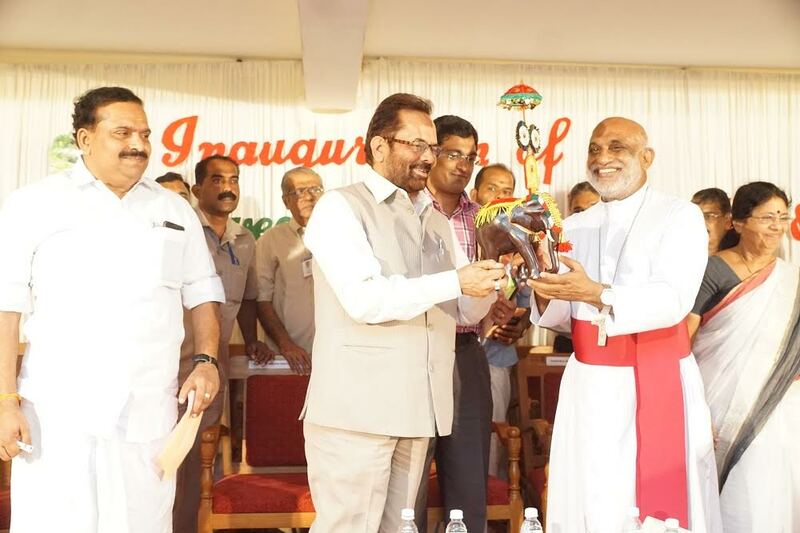 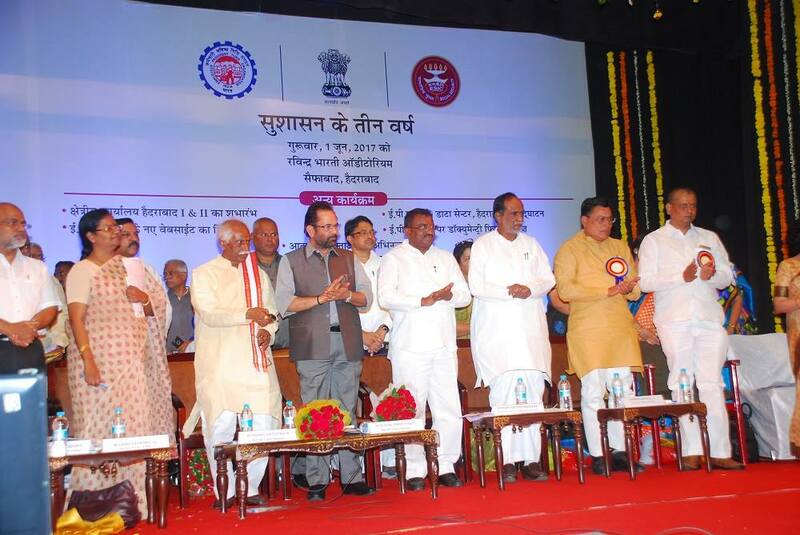 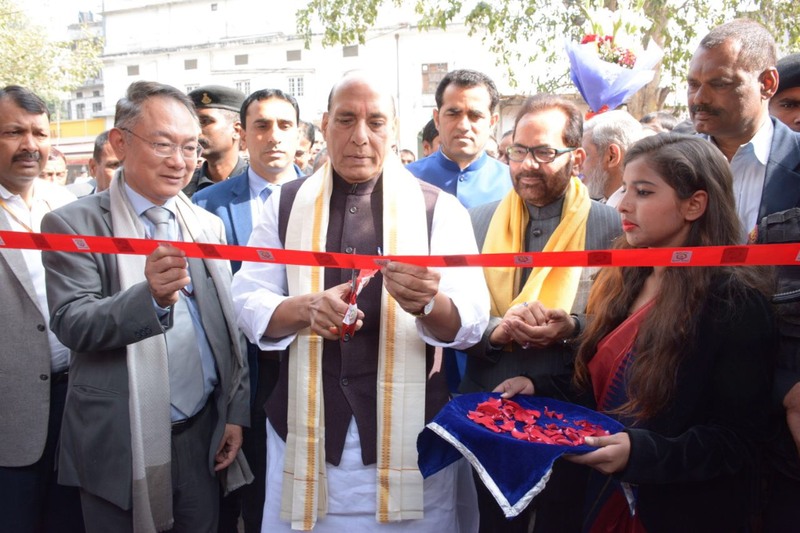 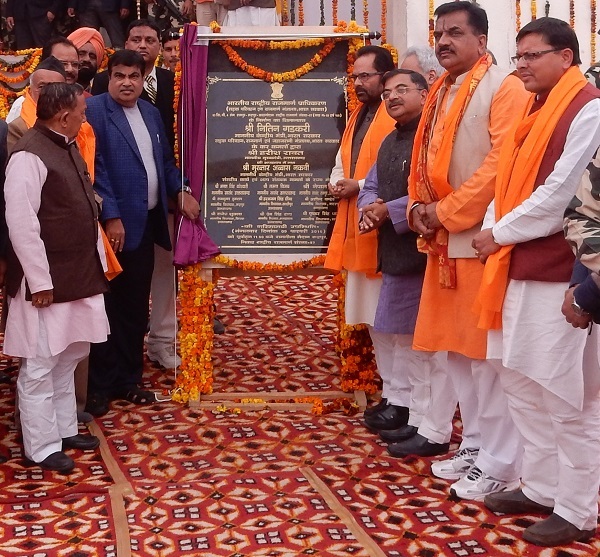 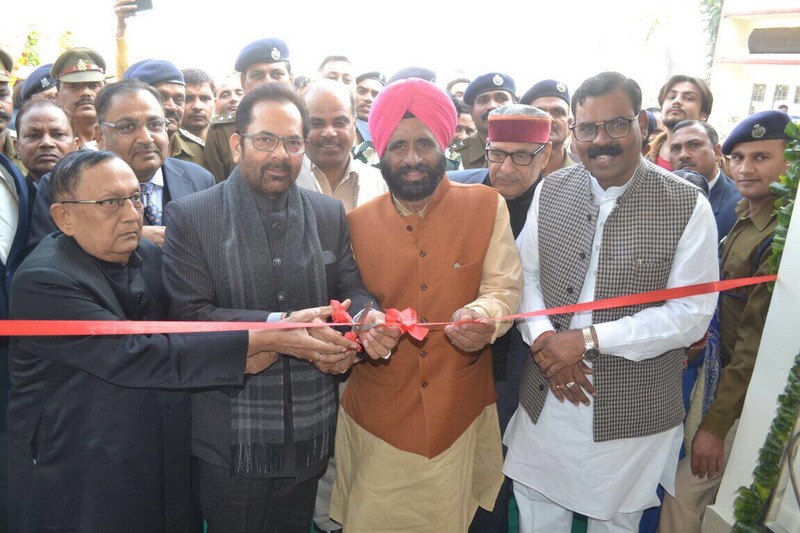 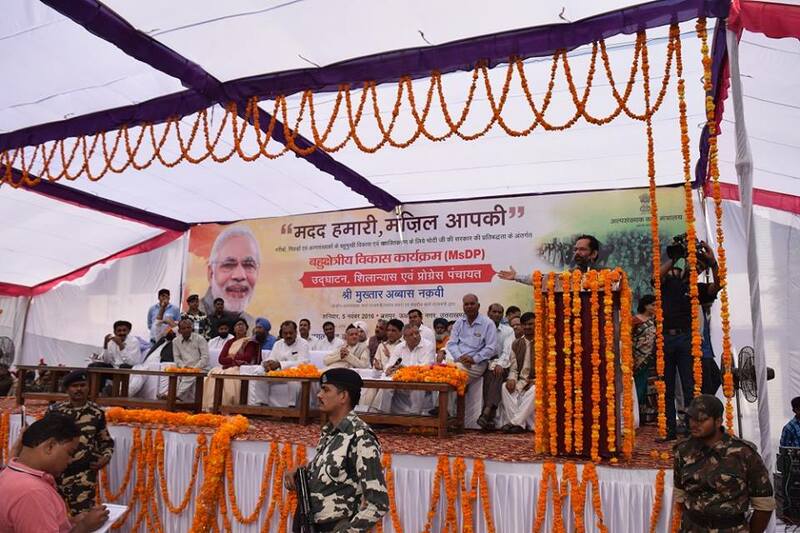 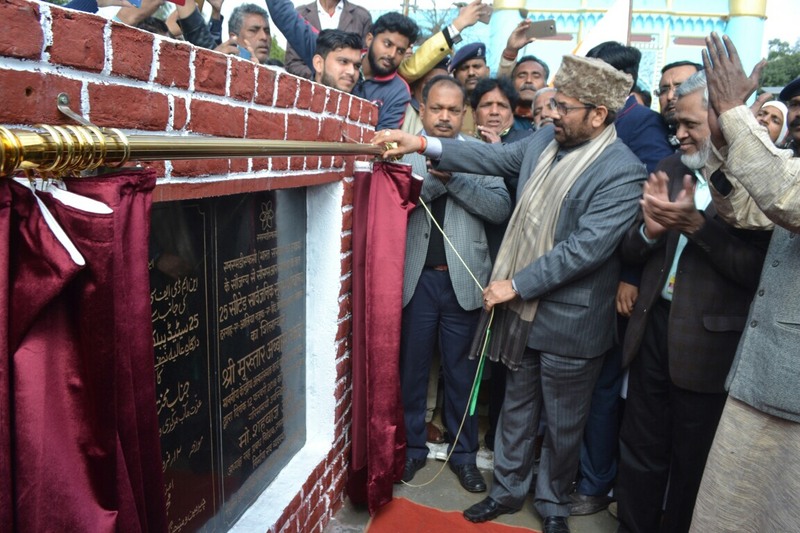 Addressing a huge gathering of people belonging to all walks of life, at Rampur during “New India- Sankalp Se Siddhi” programme at Rampur, Shri Naqvi said that the Modi Government has ensured “prosperity and empowerment with dignity” of all sections of the society including dalits, backward classes and minorities. 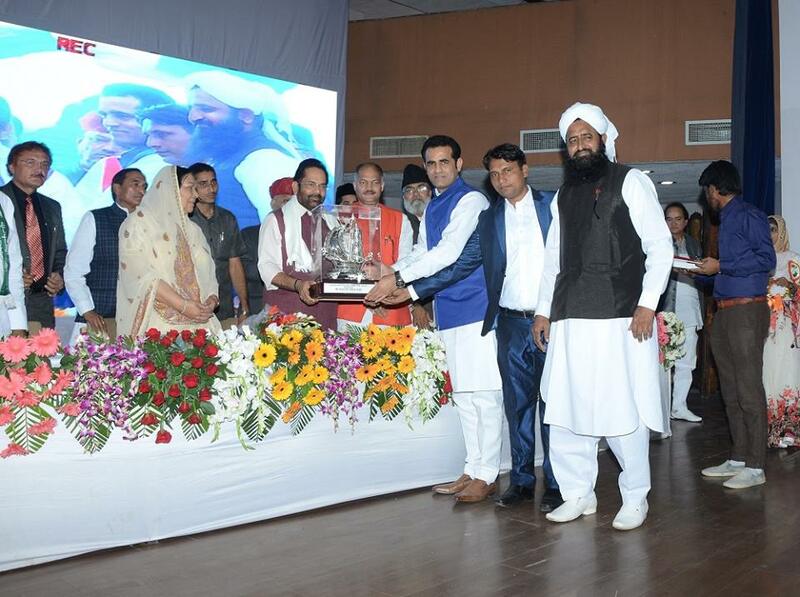 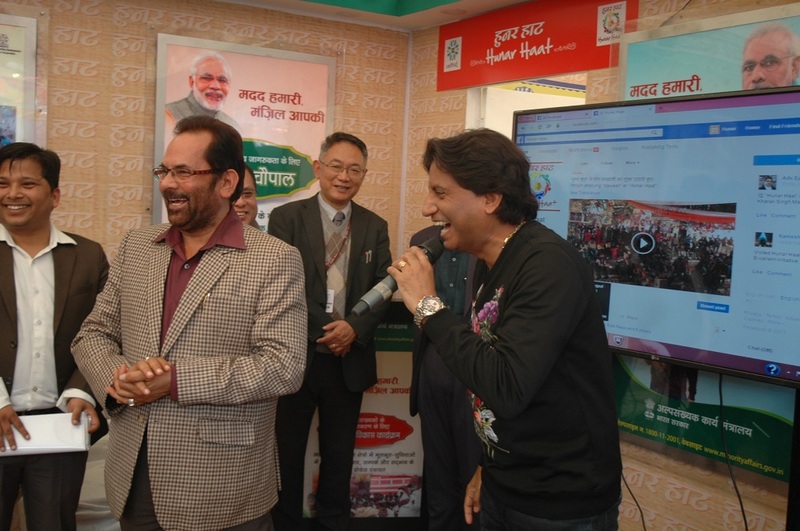 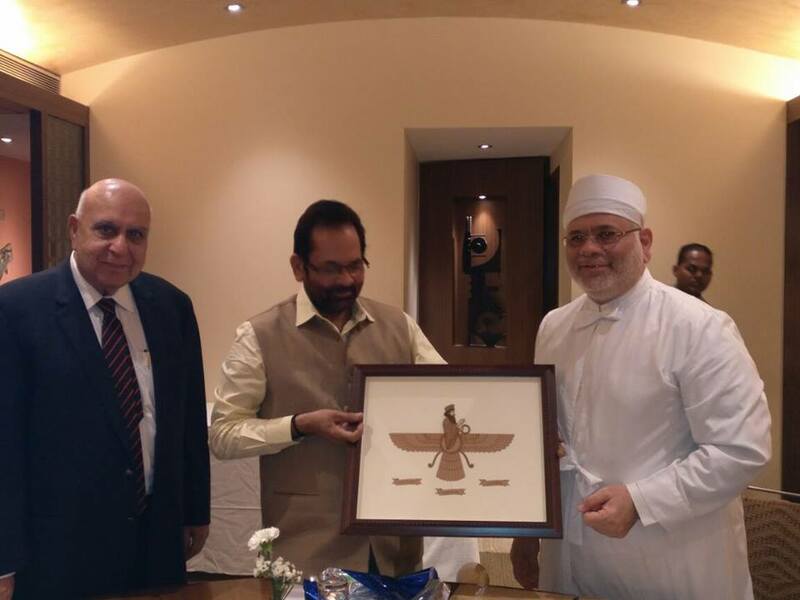 Shri Naqvi said that while on one hand, there is an “atmosphere of insecurity” in the mind of corrupt, middlemen, those people who considered corruption as their birth right and those involved in anti-national activities, on the other hand an strong atmosphere of trust and development is prevailing among country’s every religion, community and every section of the society. 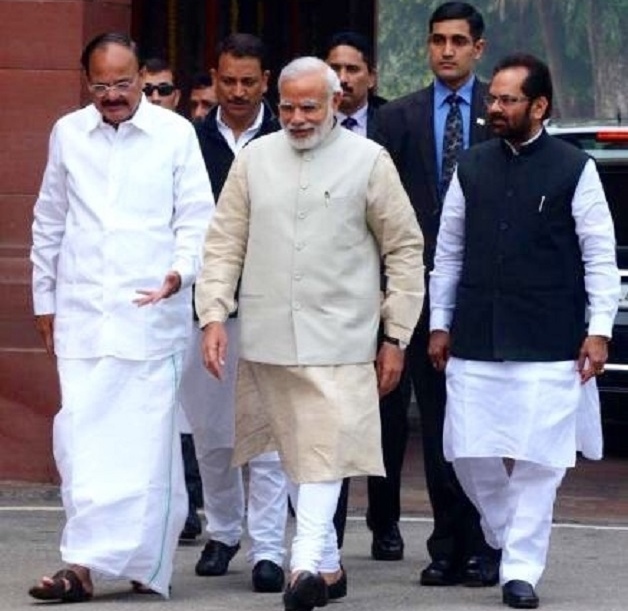 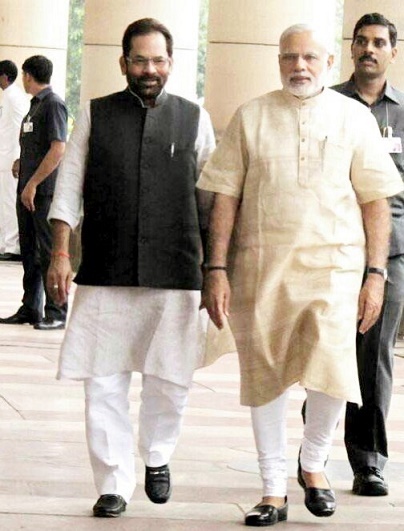 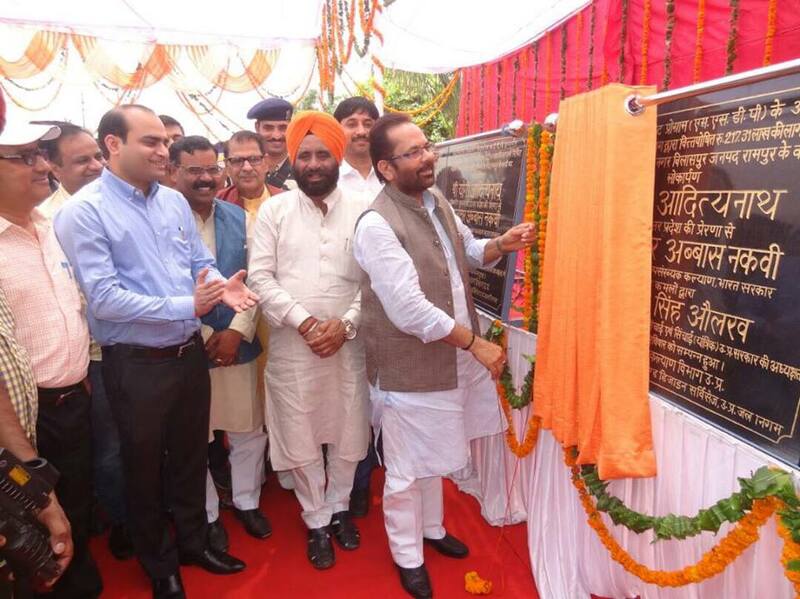 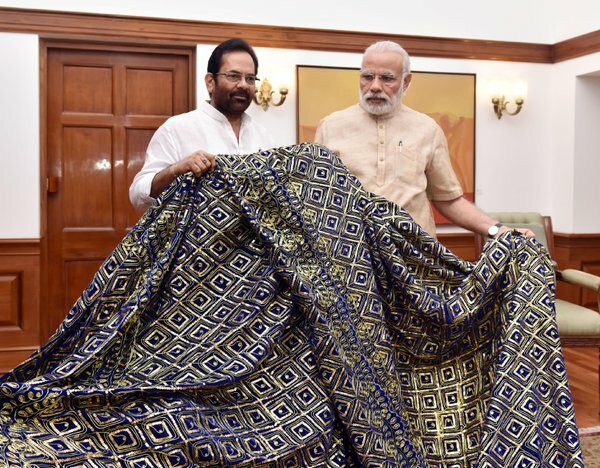 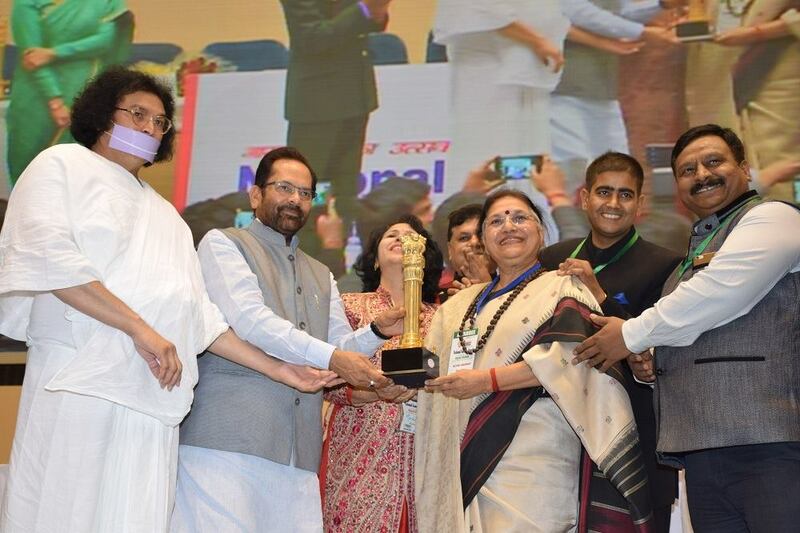 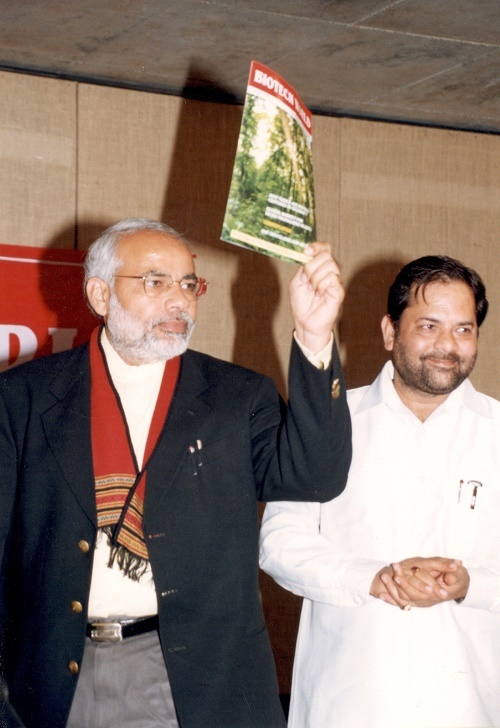 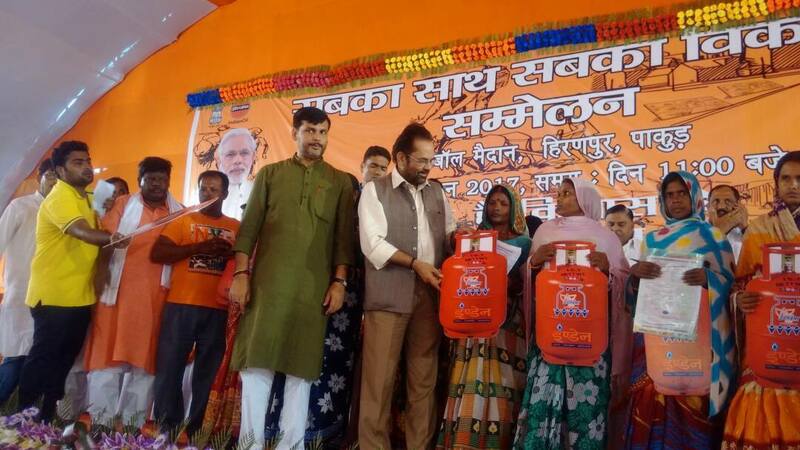 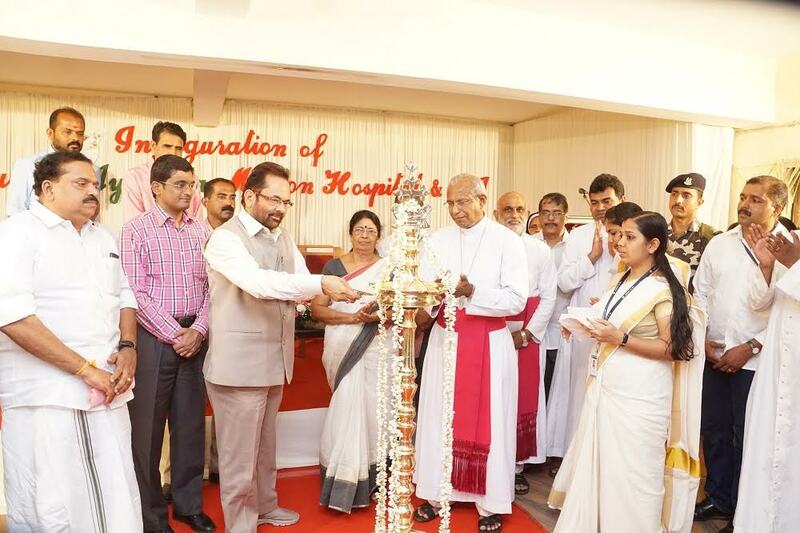 Shri Naqvi said that Prime Minister Shri Narendra Modi-led NDA Government’s commitment to “Sabka Sath, Sabka Vikas” and “Antyodaya” has ensured that light of development is reaches to every needy of the society. 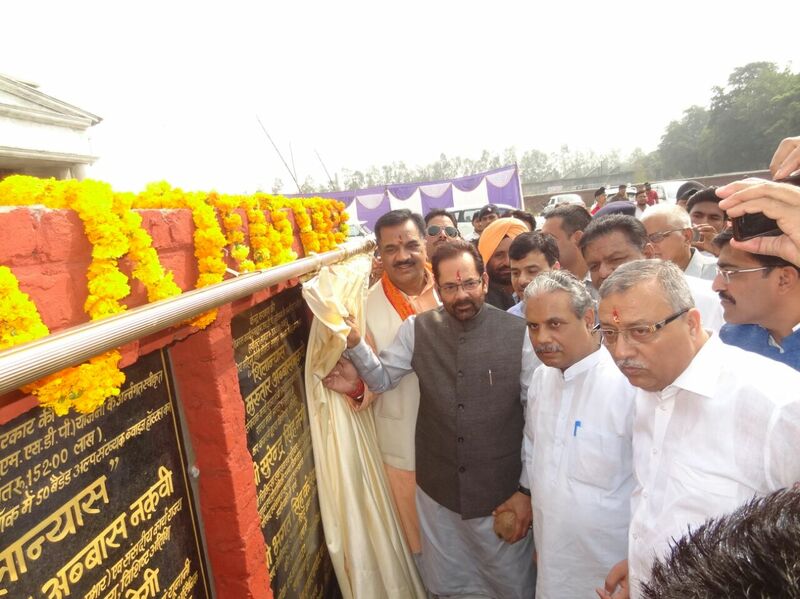 Every section has been made a part of development journey with trust. 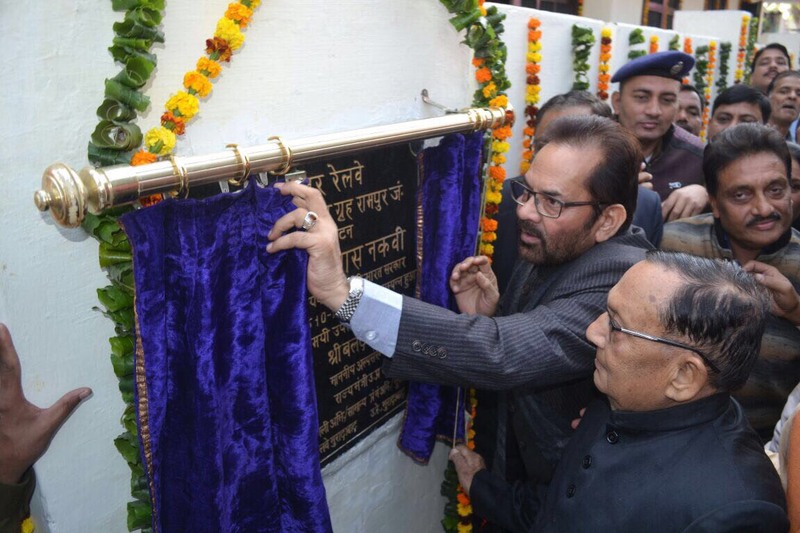 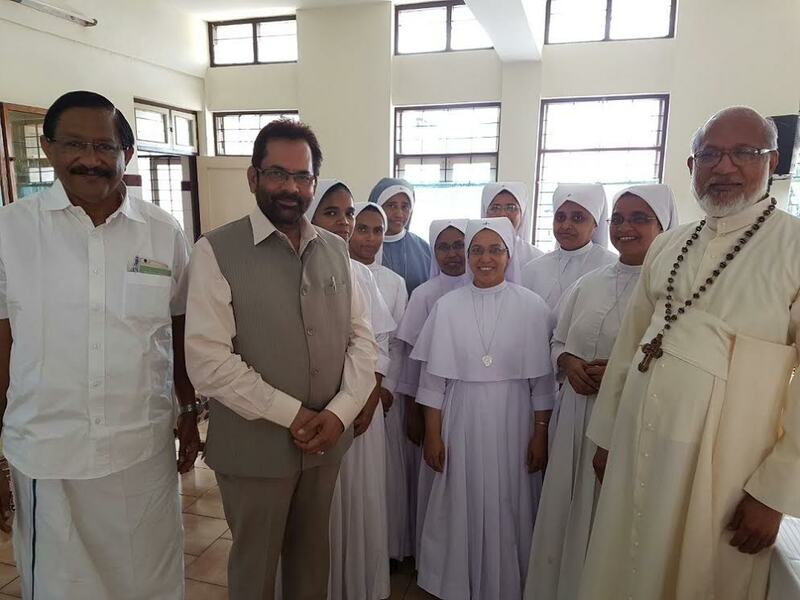 Shri Naqvi said that the Modi Government has not only demolished “appeasement policy” adopted by the Congress and its allies, our Government has transformed lives of every needy section of the society including minorities. 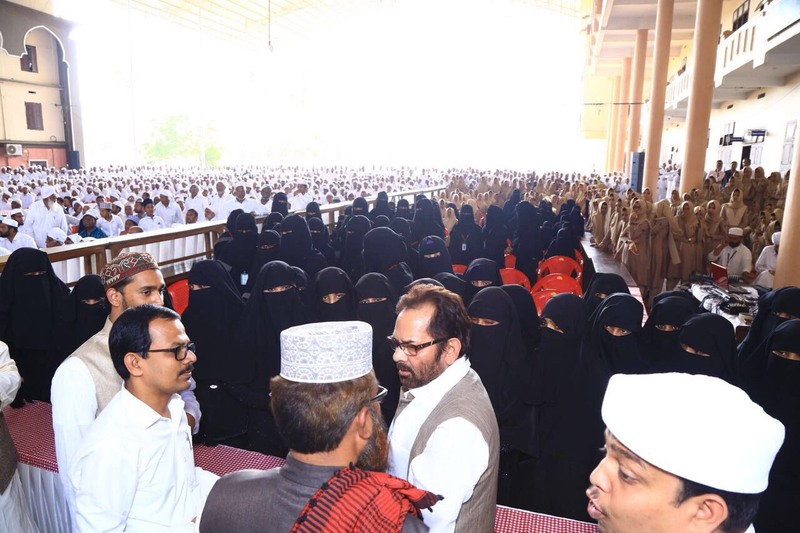 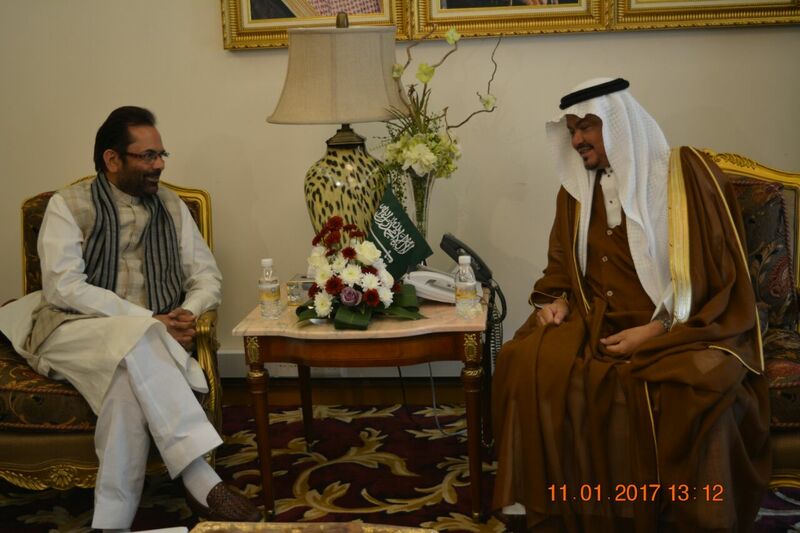 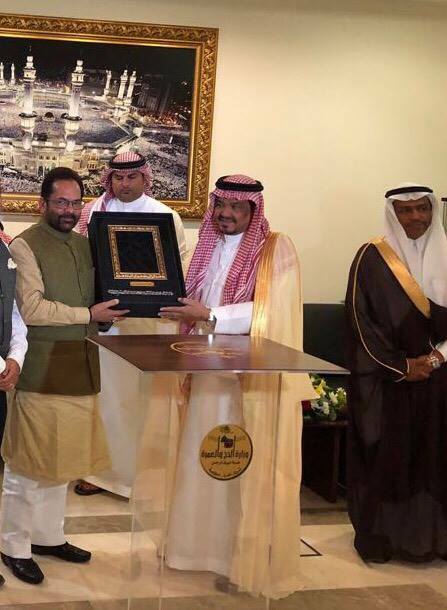 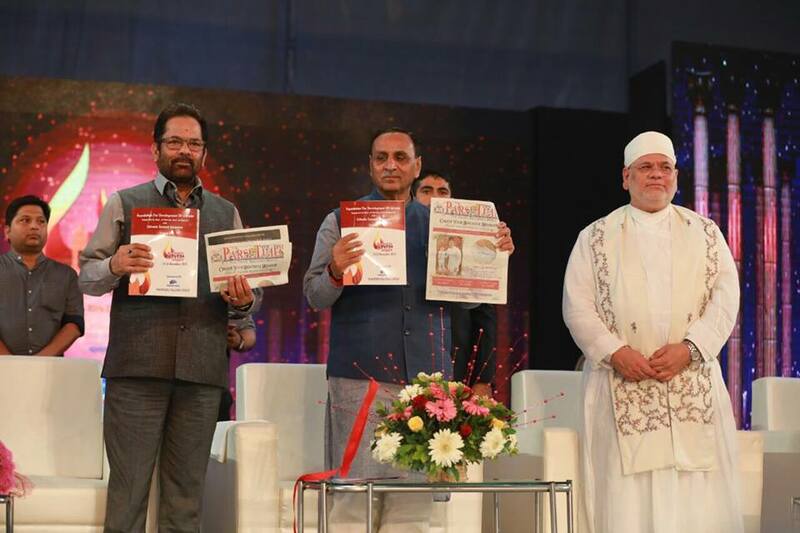 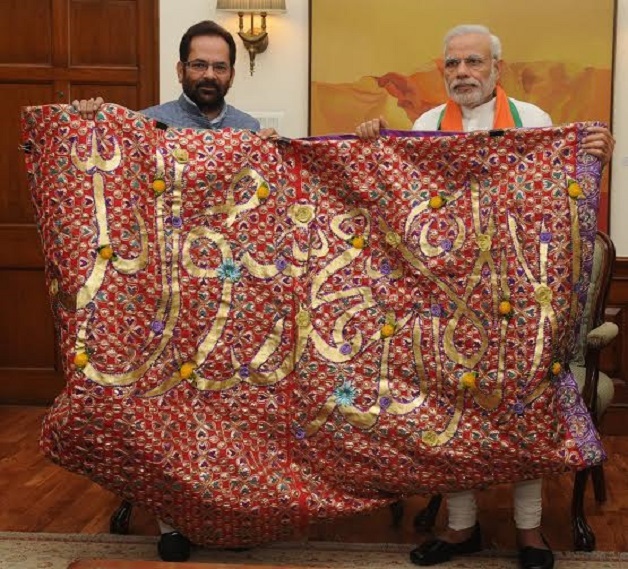 Shri Naqvi said that Muslims of the country should become a part of this historic inclusive growth without any “political prejudice”. 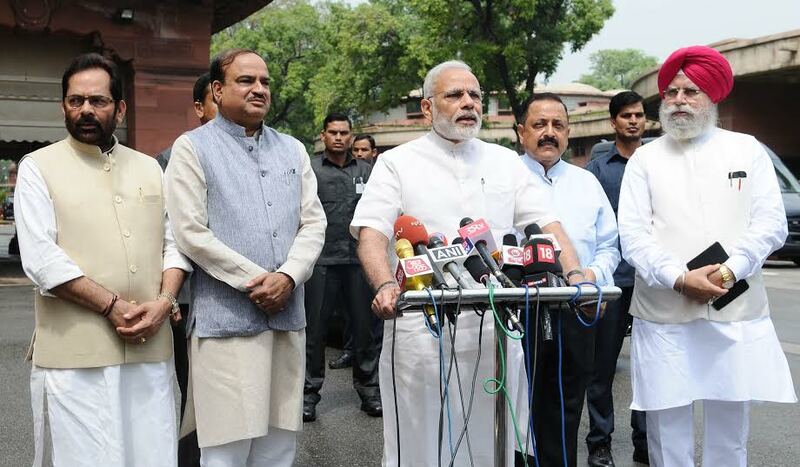 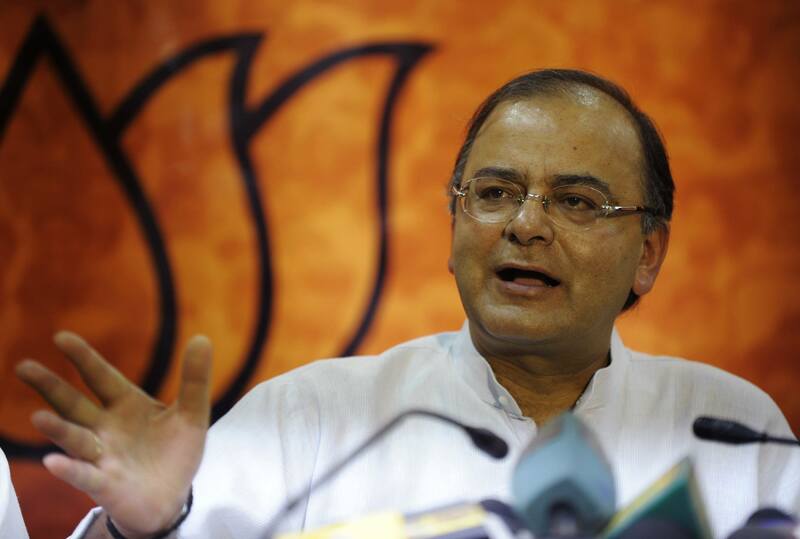 They should remain cautious against those elements who are trying to obstruct country’s progress. 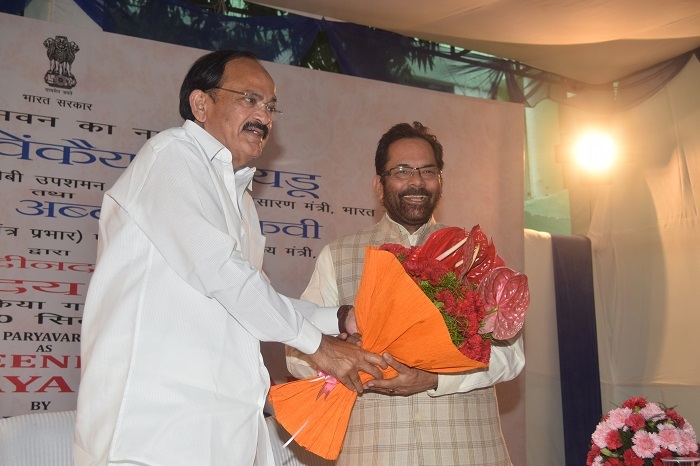 Shri Naqvi said that these political parties and their supporters are not being able to digest this “atmosphere of trust and development”. 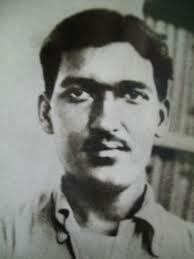 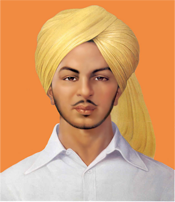 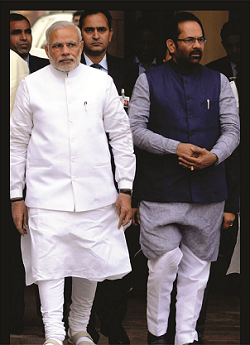 They had been politically exploiting minorities, dalits for the last several decades. 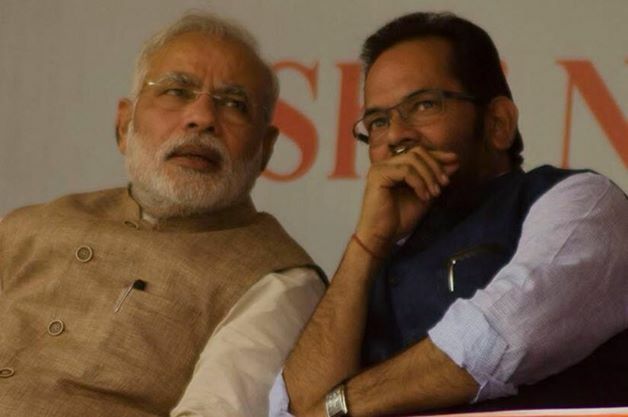 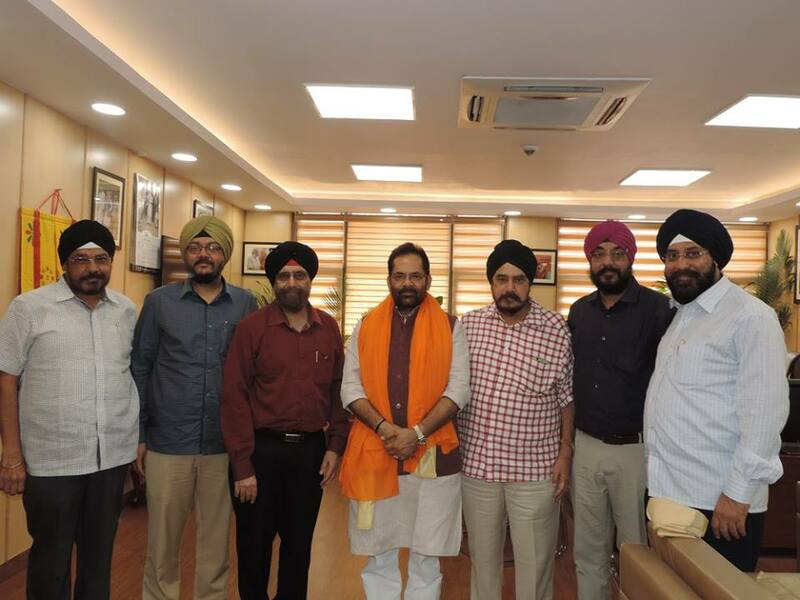 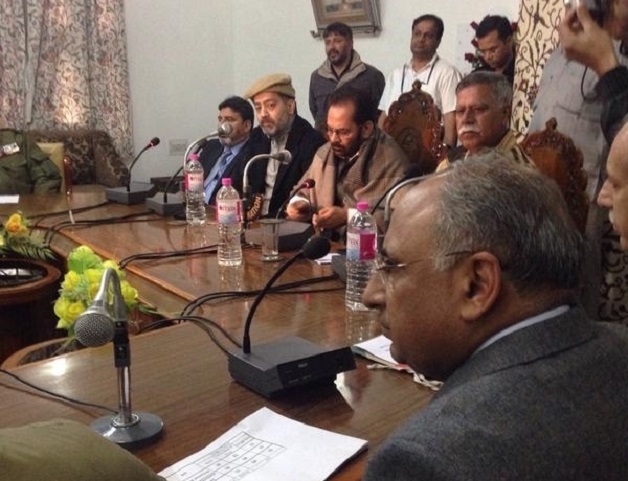 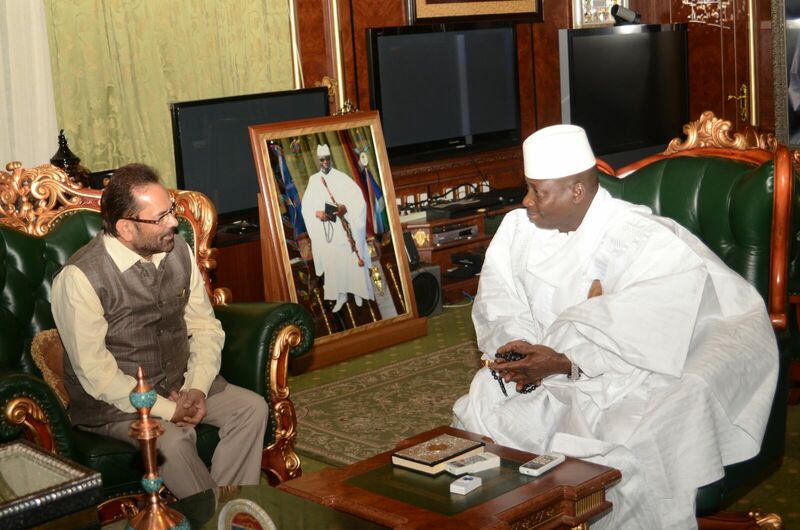 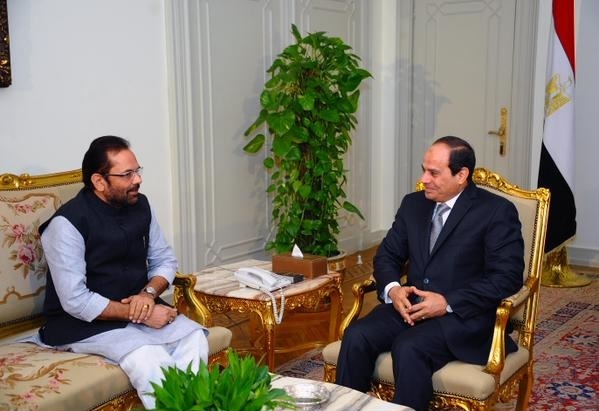 Shri Naqvi said that these political parties are involved in a conspiracy to obstruct country’s development journey by creating “fabricated atmosphere of insecurity”. 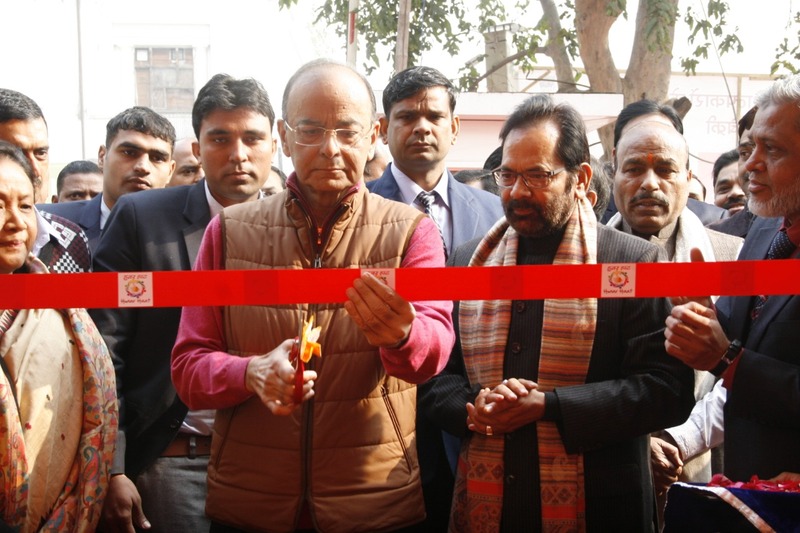 Shri Naqvi said that for us, removing poverty is not an issue of “Rajniti” (politics) but it is “Rashtraniti” and “Rashtradharma”. 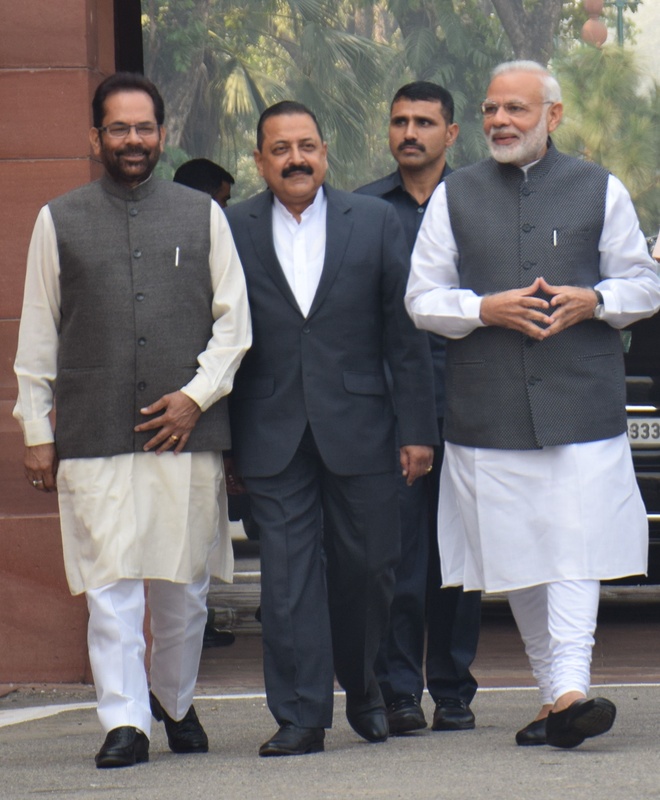 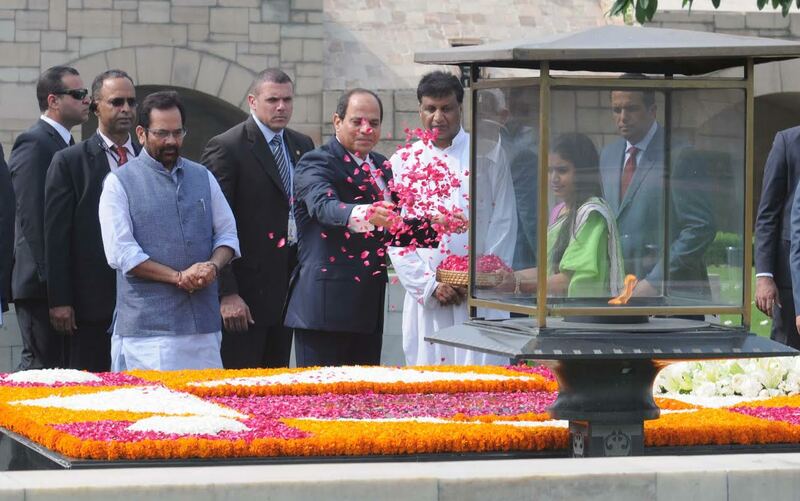 The Modi Government is moving forward with commitment to this “Rashtraniti” and “Rashtradharma”. 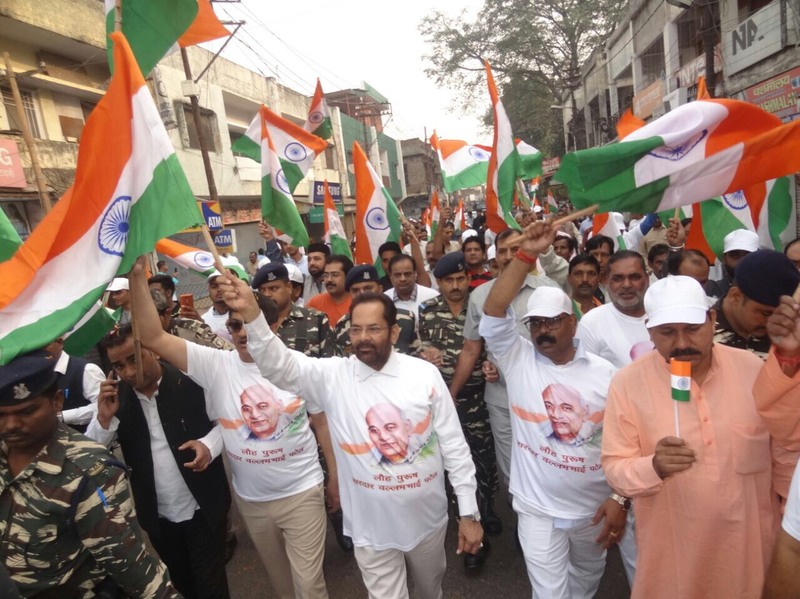 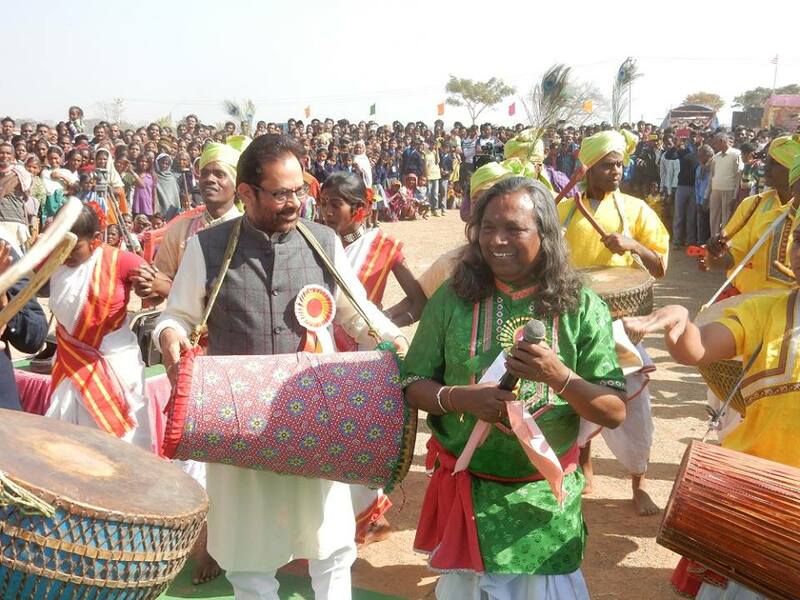 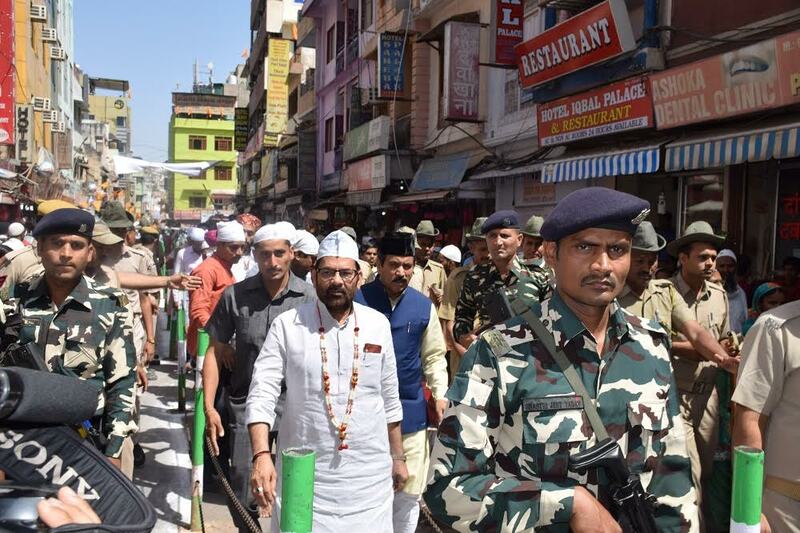 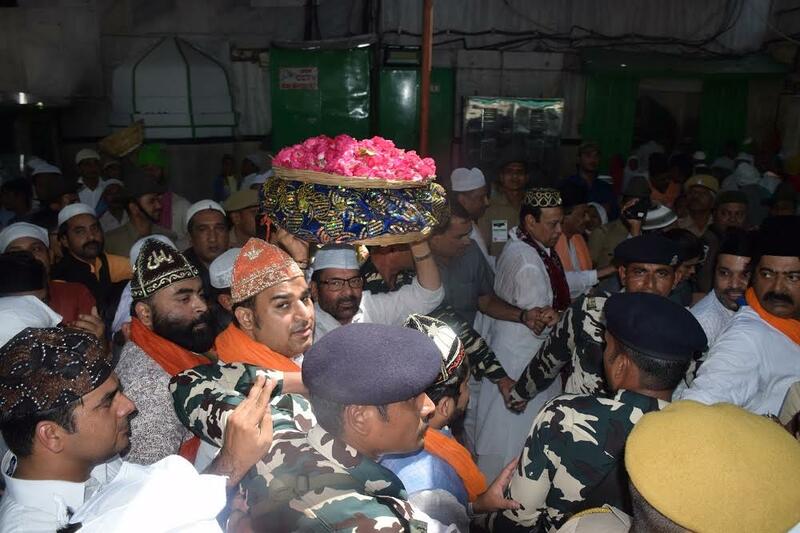 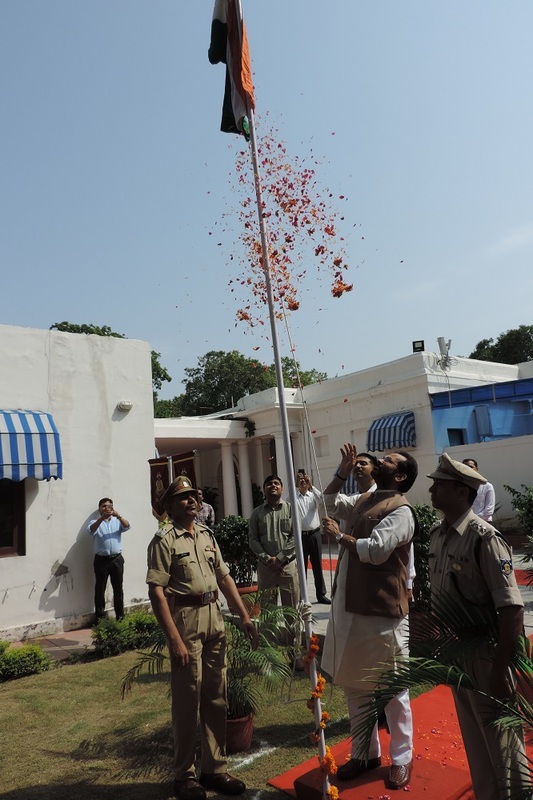 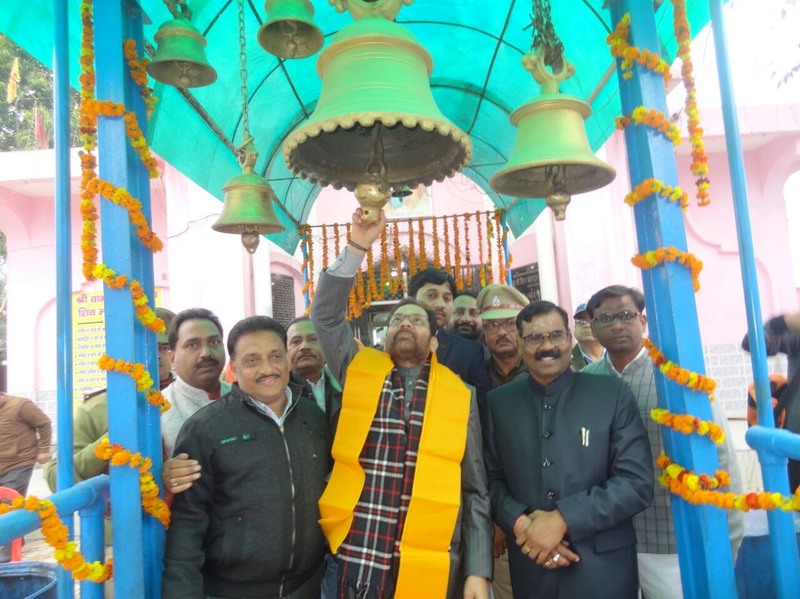 Under “New India- Sankalp Se Siddhi” programme, Shri Naqvi also participated in “Tiranga Yatra” from Star Chauraha to Gandhi Samadhi in Rampur. 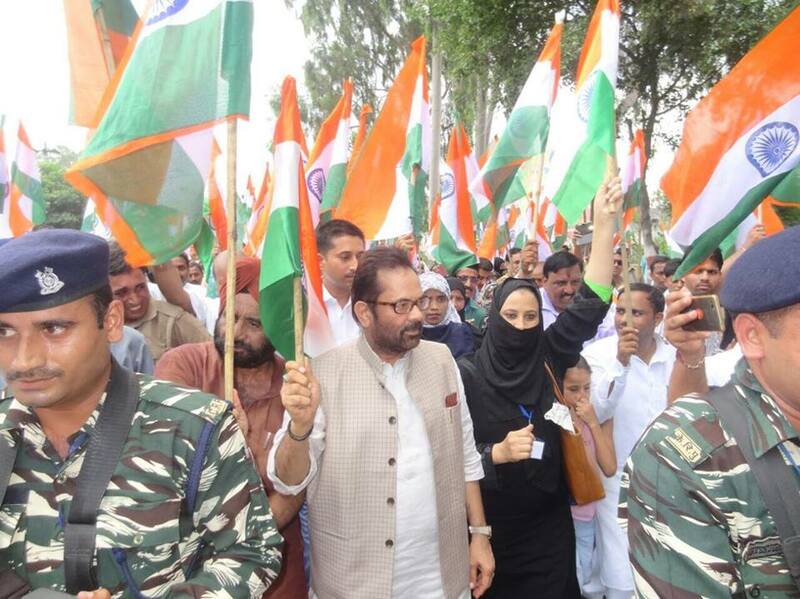 The “Tiranga Yatra” was joined by people from all walks of life who took pledge to strengthen the nation’s unity and integrity.